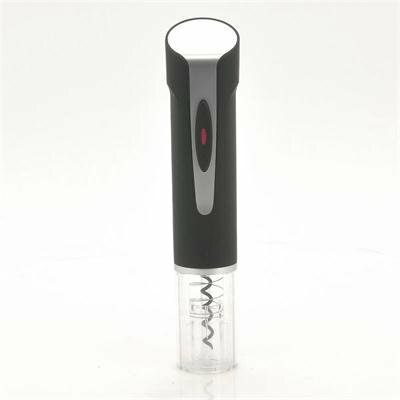 Successfully Added Electric Wine Bottle Opener - Wine Thermometer, Vacuum Wine Stopper, Electric Corkscrew to your Shopping Cart. Wine gift set for wine enthusiasts and connoisseurs including everything needed from an electric wine bottle opener to a foil cutter, a wine thermometer, a vacuum wine stopper, and more. As the perfect gift for wine enthusiasts this wine decanter set comes with everything you need to pour the perfect glass of wine. 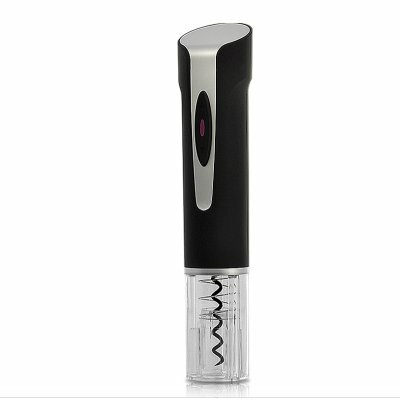 An electric corkscrew will quickly and easily uncork the bottle for you and with a simple press of the button, the cork is released. Furthermore, a thermometer which clips around the bottle is included in the set as is a vacuum vine stopper to keep the wine under optimal conditions once opened. A stainless steel wine pourer and bottle collar are also included to keep the wine from dripping. Coming in a classy hard gift box finished in PU leather, this set is a perfect gift for Christmas, new year, birthdays or corporate events. This beautiful Wine Gift Set is now in stock for immediate shipment, and also offered at an unbeatable wholesale price. Order now for personal use, or resale. It’s brought to you by your source for cool electronics, Chinavasion.